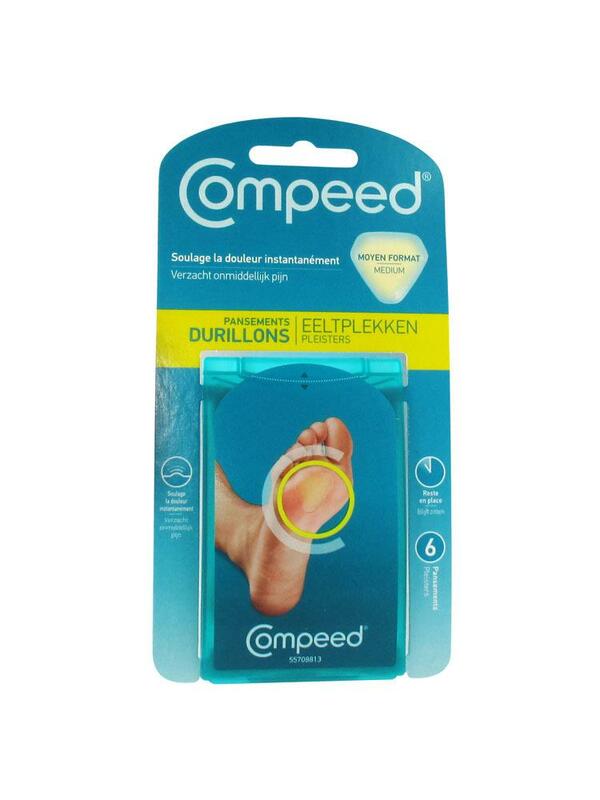 Compeed Werts-Corn immeiately relives pain and pressure while isolating wound from water, impurities and bacterias. Its hydrocolloid technology maintains the natural hydration level and deeply moisturizes the werts-corn, thus creating the best conditions for skin-healing. You should remove the bandange every 2 days in order to eliminate dead skin. A feet bath and a soft rubbingwith a towel are enough to support the elimination of dead skins after removing the bandage. Then it is recommended to apply a new bandage until the werts-corn is entirely healed.